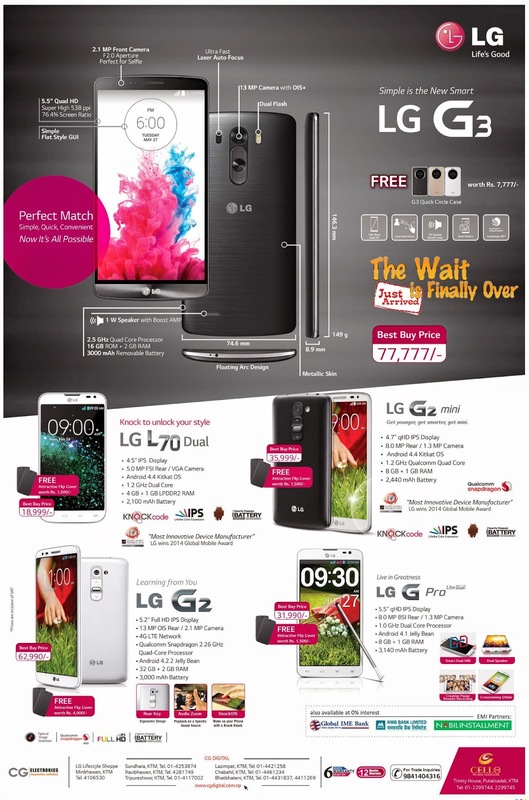 LG has updated the new price for its five smartphones for Nepal. The model includes LG L70 Dual, LG G2 mini, LG G2, LG G Pro and LG G3. For more detail see below.